· P2SPG partial double-skinned paraglider (P2SPG). Also: PDS or PDSPG or P2SHG. When the wing's airfoil is formed by a second lower skin that does not go full chord, then the scene is one of "partial" second skin. The Barish Sailwing actually had a P2S which tech is found in later builds by a number of kite-system experimentalists. The XXLite is one of latest explorations using P2S technology. See: R&D record posted Aug. 7, 2011. · Palestine, Texas ...the city. balloon test facility. The Columbia Scientific Balloon Facility (CSBF), located in Palestine, Texas. Mission Near municipal airport; not suitable for extended tethered AWE. Look into Esrange Space Center in Sweden, located about 45 km from Kiruna, Sweden on the arctic circle. · Palestine, the country or territory ... what is happening for the AWE Era in this territory? o http://www.telosnet.com/wind/early.html Early history of wind power. · pancake motor See our "motors"
· paras paragliders The similar short for hang gliders: hangs All paras are gliding kite systems. All paragliders are in a proper subset of hang gliders. Paras hang payload (pilot as payload also) by tethers only without sold coupling to the system's airframe. · parakarting is sometimes the term of kite buggying or kitebuggying, especially when the kite is of the parafoil type of traction kite. GeneralLink. Parakarting is an AWECS where traction is the dominant interest. Usually parakarting implies having the mooring be a moving wheeled land cart. o It is nearly impossible to have an ever-L/D=0 in real materials; but when the intent is to have L/D=0 for a parachute, then such has no positive kiting effect and thus cannot be a gliding parachute; hence these are non-gliding parachutes. Look otherwise for parachutes that have L/D>0 with intent to have some gliding ability; such parachutes are gliding kites, but when the intent is more drag intended, then such are still parachutes (low-grade gliding devices). 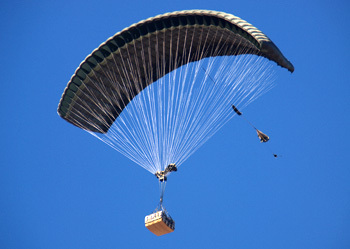 o rectangular parachutes or gliders; these often are evolutes of the Jalbert parafoil, but not necessarily so. 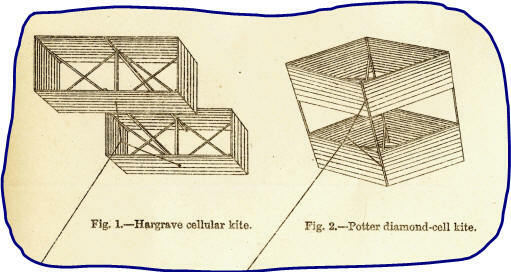 o Leonardo da Vinci drawing of a square-based pyramidal parachute that may have had an apex control line for, pehaps, some control or pre-shaping (speculative). · parachute rigging "Rigging then, in reference to parachutes, came to mean: the final adjustment and alignment of the various component sections to provide the proper aerodynamic reaction. " o parade kite flying Fly kites in a parade. Fly kites around a parage. o parading kites Be in a parade with a display of kites flying or not. Parade floats that feature kites or kiting. o parade of kites. One type: scores of people marching while holding their kites or even flying their kites. o Jalbert parafoil (mechanical evolute of Rogallo Wing where Jalbert added novelty of stark multiple cells well shaped to form ram-air high performance airfoil shapes). Jalbert did not reference Rogallo's limp wing that had understood ram-air airbeaming in Rogallo's patent; Jalbert's novelty was evident. 1. resistive set, 2. tether set, 3. wing set. Paragliders are members of a proper subset of hang gliders. Paragliders are members of a proper subset of kites. Paragliders are members of a proper subset of gliders. 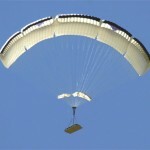 Paragliders have paravane analogues for water operation with the system gliding in water. In brevity, writers and talkers focus on the wing as "paraglider" without pausing to rehearse that their focus is on the wing part of the paraglider. Sellers of sport "wings" often sell "paragliders" without really selling the complete paraglider, as what they are selling is just the wing part and tether-set part, leaving the buyer of the wing to provide the the third part: the mass that will make the object complete as a gliding system. Some sellers one day may sell the wing separate from the tether set while leaving the user to provide separately the tether set to fit purpose. Without the resistive set there is not a paraglider. Without the tether set coupling the resistive set and the wing, there is no paraglider. A wing alone is not a paraglider (except via the abbreviation language). A paraglider may use very many kinds of wings from solid to fully limp wings, depending on design and purpose. Paragliders may free glide in water or in atmospheres or a combination of fluids at once. Sport paragliding is one corner of the broad extensive paragliding activity. Toy paraglider unmanned and huge scientific industrial working paragliders span the field. Note: Many hang gliders are paragliders, but not all (when a hang glider wing has no tether to its payload/pilot, then such hang glider is not a paraglider type; but the very popular sport hang glider that uses one (or several) main tethers to the pilot resistive set is a paraglider, like the Falcon 3 hang glider is a paraglider). All sport paragliders of the Jalbert parafoil, Rogallo wing, Para-Command, and Barish Sailwing evolutes are in a proper subset of the superset hang gliders. Some hang gliders are not kite systems, but all paragliders are kite systems. An example of a hang glider that is not a paraglider is the Otto Lilienthal hang gliders where the pilot hangs directly from the wing without a tether set. In the sport of paragliding, the pilot becomes part of the resistive set or anchor; he or she first ground kites, then walk kites or sometimes run kites, and then kite glides; in glide the paraglider is a gliding kite system The rich history of kites provide a garden for designers; they may take any kite system and explore just how well the system does when the anchor is let to fall freely through the air. Olympian high jumper Joe Faust, founder of World ParaGliding Association. o First uses of the term applied to a wide-spectrum of gliders including those with structural beams. Such remains the case today, but not in all user factions. One user faction: the sport of "paragliding" hardly respects airframed paragliders while that sport's literature holds a paraglider as a string-controlled limp canopy kite system. o See in one system: landboard, waterboard, skyboard video: http://youtu.be/PSsKAzyKzhc Resistive set changes from land carving to free-falling (dangling) (and some aero-slicing), to water carving. o Paraglider hang gliders of NASA, partial study HERE. o Paraglider is a "house of cards." Merriam-Webster online for "house of cards": a structure, situation, or institution that is insubstantial, shaky, or in constant danger of collapse." Langley Research Center, Langley Air Force Base, Va. Comment: Parafoil wing used in a paraglider system is being used for long-line ground kiting with minor jump glides and moving-body-around-field resistive kiting play. · Paragliding is the launching, flying, and landing of gliding kite systems; the mission of paragliding may include humans onboard or not onboard; paragliding may be done for peace or war, for commerce or play, for model testing or for gliding oneself in sport and recreation. Paragliding is the flying of a paraglider at any size and with any payload for any purpose. Model builders do model paragliding via radio control or just passive gliding of unmanned paragliders. 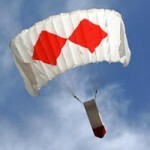 UAV industrial paragliding includes the use of mission-specific unmanned paragliders. · "Paragliding is the slowest and apparently riskiest way to get from one place you don't really need to be to another." Anon? o Analysis of raw data: Various levels of analysis of the fatalities and injurious incidents occur by analysts, researchers, organizational representatives, authors, participants, accident committees, etc. The quality of accident analysis varies widely from poor to high. Branching what is in focus in an analysis matters; looking at incidents in non-sport (industry, military, commerce) paragliding is sometimes set in focus. Sport paragliding is frequently studied in two large branches: 1. the airframed paraglider (segment of hang gliders) , and 2. the non-airframed paraglider (proper subset of hang gliders) popular in sport paragliding. Further branching of study is found: the non-paraglider hang glider that has not even one tether in the tether set (thus empty tether set) like the Otto Lilienthal gliders, the Swift, the Batso, the VJ-23, etc., may be studied in itself as to fatalities and injurious incidents, the most famous of which is the 2000th flight of Otto Lilienthal himself when the crash resulted in his death. Then a branch of accident analysis often in focus is the paraglider that has an airframe and the tethered pilot has the option to directly couple with the airframe for controlling the flight of the glide (like the Falcon 3 hang glider or Seed Wing's Sensor710 hang glider which are airframed paragliders that has such a short tether set that permits the pilot able to grab the airframe for control purposes). o How to connect to your paraglider while looking at it for reverse launch You are the anchor to the kite system; connect with appropriate harness. Practice on flat ground. Wing run or ground kiting practice on flat ground in non-thermic conditions. o Consider how each known fatality occurred. Incomplete list: http://www.cometclones.com Consider how each injury occurred. *Universal Paragliding Design Flaw (UPDF): Paragliders are parachutes modified to soar at the expense of stability and safety. The canopy of a paraglider can suddenly lose its aerodynamic shape in normal atmospheric turbulence, collapse and fall. A 360-degree turn can tighten into a locked-in or nose-down spiral dive where control cannot be regained. A collapse below about 400-feet does not allow enough time for emergency reserve deployment, often resulting in serious injury or death -- see the Paraglider Dead Man's Curve (PDMC). Because these incidents have been occurring for 30 years with over 1,700 deaths in both powered and unpowered paragliders worldwide and show no signs of decreasing, on August 22, 2016, Rick Masters has placed the term "Universal Paragliding Design Flaw (UPDF)" into the lexicon of paragliding. · paraplane (dominant use is to be under power with gliding as far secondary purpose); differently is powered paraglider that has dominant aim at the gliding sector while using the power for launch and special needs). 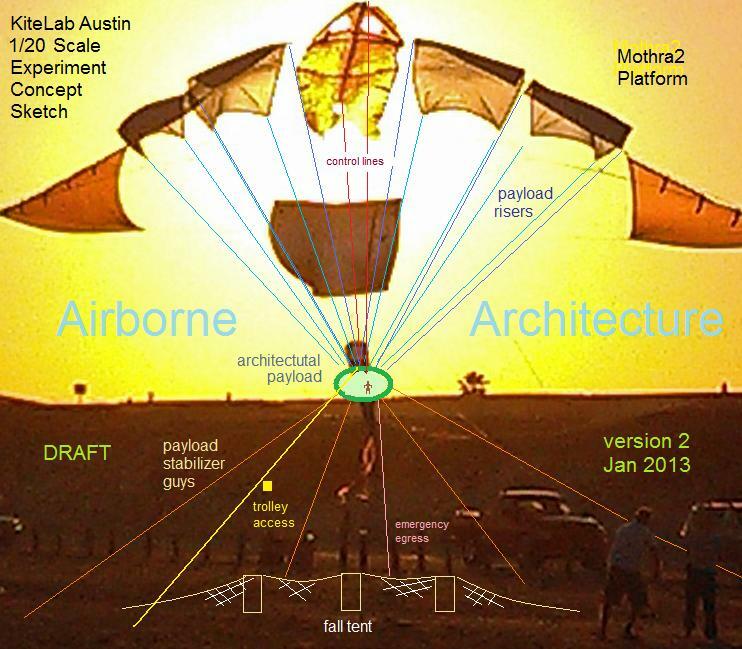 · paramotoring wiki Usually the payload has the motor. System may be human-powered enhanced. Both ICE and electric (ePG, ePM) are evident. These are kiting systems with the anchor or resistive set propelled by motors or engines; the anchor tows the tethered wing. o http://electric-paramotor.site90.net Forum for advancing ePM. o See E-Walk for an electric paramotoring advance. · parawing, para-wing, paraglider, flex-wing were terms often meaning nearly the same in the 1960s. After that the mixing did not stop, even up to today, albeit in some factions of users, the terms take on dominance for images of one type of wing or another. Using the Francis Rogallo all-flexible Rogallo Wing :: parawing. Stiffening the parawing brought parawings that were stiffened. When in glider: paraglider (all flexible or stiffened). Rogallo paragliders use Rogallow Wing (parawing) either fully limp or with the allowance of stiffening (many methods). "Summary: Graphic showing limp paragliders will have a maximum L/D of 3, and a structurally stiffened version will have a L/D of 6. Covers conical versus cylindrical wings"
Test of Paresev I-A Rogallo research vehicle in the Full Scale wind tunnel. Richard P. Hallion wrote: 'The best way to acquire ... experience, of course, was by building and flying a Parawing. Two who actively favored such an approach were center research pilots Neil Armstrong and Milt Thompson. they approached Paul Bikle, who liked the idea, but recognized that both pilots had heavy Dyna-Soar commitments; FRC could not spare their services elsewhere, even to a project as interesting as the proposed Parawing. Instead, Bikle called in a group of center engineers under the direction of Charles Richards, a team composed of Richard Klein, Vic Horton, Gary Layton, and Joe Wilson. Bikle's instructions were characteristically short and to the point: build a single-seat Paraglider and *do it quick and cheap.' All this took place just before Christmas 1961. The team, now totaling nine engineers and technicians, set to work on this *Paraglider Research Vehicle,' conveniently abbreviated Paresev. Seven weeks later, after expending $4280 on construction and materials, the team rolled out the Paresev I. It resembled a grown-up tricycle, with a rudimentary seat, an angled tripod mast, and perched on top of the mast, a 14-square-meter Rogallo-type parawing. The vehicle weighed 272 kilograms, had a height of over 3.4 meters, and a length of 4.5 meters. The pilot sat out in the open, strapped in the seat, with no enclosure of any kind. He controlled the descent rate by tilting the wing fore and aft, and turned by tilting the wing from side to side. NASA registered the Paresev, the first NASA research airplane to be constructed totally *in-house,' with the Federal Aviation Administration on 12 February 1962. Flight testing started immediately.' Published in James R. Hansen, Spaceflight Revolution: NASA Langley Research Center From Sputnik to Apollo, NASA SP-4308, pp. 380-387; Richard P. Hallion, On the Frontier: Flight Research at Dryden, 1946-1981, NASA SP-4303, pp. 138-139. The Paresev was unpowered, the "fuselage" an open framework fabricated of welded 4130 steel tubing referred to as a space frame.' The keel and leading edges of the wings were constructed of 2 1/2-inch diameter aluminum tubing. The leading edge sweep angle was held constant at 50 degrees by a rigid spreader bar. Additional wing structure fabricated of steel tubing ensured structural integrity. Seven weeks after the project was initiated the team rolled out the Paresev 1. It resembled a grown-up tricycle, with a rudimentary seat, an angled tripod mast, and, perched on top of the mast, a Rogallo-type parawing. The pilot sat out in the open, strapped in the seat, with no enclosure of any kind. He controlled the descent rate by tilting the wing fore and aft, and turned by tilting the wing from side to side with a control stick that came from overhead. NASA registered the Paresev, the first NASA research airplane to be constructed totally 'in-house,' with the Federal Aviation Administration on February 12, 1962. Flight testing started immediately. There was one space frame built called the Paresev that used four different wing types. Paresev 1 had a linen membrane, with the control stick coming from overhead in front of the pilots seat. Paresev 1A had a regulation control stick and a Dacron membrane. Paresev 1B had a smaller Dacron membrane with the space frame remaining the same. Paresev 1C used a half-scale version of the inflatable Gemini parawing with a small change to the space frame. All space frames,' regardless of the parawing configuration, had a shield with 'Paresev 1-A' and the NASA meatball on the front of the vehicle. After the space frame was completed a sailmaker was asked to sew the wing membrane according to the planform developed by NASA Flight Research Center personnel. He suggested using Dacron instead of the linen fabric chosen, but yielded to the engineers' specs. A nylon bolt rope was attached in the trailing edge of the 100-square-foot wing membrane. The rope was unrestrained except at the wing tips and was therefore free to equalize the load between the two lobes of the wing. This worked reasonably well, but flight tests proved the wing to be too flexible with it flapping and bulging in alarming ways. The poor membrane design led to trailing edge flutter, with longitudinal and lateral stick forces being severe. A number of different rigging modifications to improve the flying characteristics were tried, but very few were successful and none were predictable. Everything seemed to affect stick forces in the worst way. The fifth flight aloft lasted 10 seconds. On a ground tow the Paresev and pilot fell 10 feet. Considerable damage was done to the Paresev with the pilot, Bruce Peterson, being taken to the base hospital. Injuries sustained by the pilot were not serious. After this accident the Paresev was extensively rebuilt and renamed, Paresev-1A. The sailmaker was asked again to construct a 100-square-foot membrane the way he wanted to. The resulting wing membrane had excellent contours in flight and was made from 6 ounce Dacron. The space frame was rebuilt with more sophistication than the Paresev 1 had. The shock absorbers were Ford automotive parts, the wing universal joint was a 1948 Pontiac part, and the tires and wheels were from a Cessna 175 aircraft. The overhead stick was replaced with a stick and pulley arrangement that operated more like conventional aircraft controls. This vehicle had much improved stick forces and handling qualities. The Paresev 1-B used the Paresev 1-A space frame with a smaller Dacron wing (100 square feet) and was flight tested to evaluate its handling qualities with lower lift-to-drag values. One NASA project engineer described its gliding ability as "pretty scary." The space frame of the vehicle remained almost unchanged from the earlier vehicles. However, a new control box gave the pilot the ability to increase or decrease the nitrogen in the inflatable wing supports to compensate for the changing density of the air. Two bottles of nitrogen provided an extra supply of nitrogen. The vehicle featured a partially inflatable wing. The whole wing was not inflatable; the three chambers that acted as spars and supported the wing inflated. The center spar ran fore and aft and measured 191 inches; two other inflatable spars formed the leading edges. These three compartments were filled with nitrogen under pressure to make them rigid. The Paresev in this configuration was expected to closely approximate the aerodynamic characteristics that would be encountered with the Gemini space capsule with a parawing extended. The Paresev was very unstable in flight with this configuration. The first Paresev flights began with tows across the dry lakebed, in 1962, using a NASA vehicle, an International Harvester carry-all (6 cylinder). Eventually ground and airtows were done using a Stearman sport biplane (450 hp), a Piper Super Cub (150-180 hp), Cessna L-19 (200 hp Bird Dog) and a Boeing-Vertol HC-1A. Speed range of the Paresev was about 35-65 mph. The Paresev completed nearly 350 flights during a research program from 1962 until 1964. Pilots flying the Paresev included NASA pilots Milton Thompson, Bruce Peterson, and Neil Armstrong from Dryden, Robert Champine from Langley, and astronaut Gus Grissom, plus North American test pilot Charles Hetzel. The Paresev was legally transferred to the National Air and Space Museum of the Smithsonian Institute, Washington, D.C. Despite its looks, the Paresev was a useful research aircraft that helped develop a new way to fly. 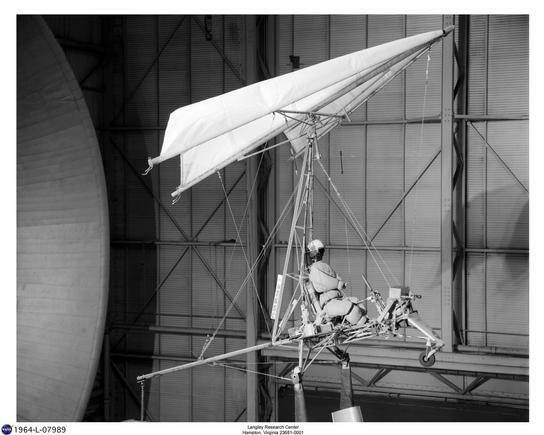 Although the Rogallo wing was never used on a spacecraft, it revolutionized the sport of hang gliding, and a different but related kind of wing was tested on the X-38 technology demonstrator. · parking an AWES, parking a wing of a kite system, parking the wings of a complex kite system. The landing operation may end in a parking arrangement. A parked system might be in the weather or in a shielded situation, perhaps in a hangar. AWES hangar. Kite hangar. · partial double surface (PDS) wing has less than 100% second skinned surface, but more than zero.. E.g., XXLite by OZONE and some hang gliders. The second surface may have skinning 10% or 20%, or 30%, etc. Opposingly, a single-surface wing has no second surface at all. · passing wind (ambient wind) as opposed to apparent wind over a moving airfoil that may be flying cross wind. · passive phase (versus power or traction or production phase). Cost phase. Reel-in phase. o patents, kite patents, kitepatents, Discuss each kite patent HERE. then becomes available for commercial exploitation by others. The patentee is not given a statutory right to exploit his own invention, but rather a statutory right to prevent others from commercially exploiting it. He may give permission, or grant a license, to other parties to use the invention on mutually agreed terms. The patentee may also sell his right to the invention to someone else, who will then become the new owner of the patent. o In a kite hang glider, the main traditional payload is the pilot's body. However, kite hang gliders may have inanimate payloads and not even have a live human pilot. In a kite hang glider, the main traditional payload is the pilot's body. However, kite hang gliders may have inanimate payloads and not even have a live human pilot. Some examples: Many hang glider manufacturers have dummy-tested their hang glider with sacks of sand and other objects; there are drone hang gliders without a human pilot on board; model hang gliders do not have a human pilot on board; space-reentry and atmospheric object-recover hang gliders do not have a human on board. · PDMC SeeHere. Variable region above ground level where limp-canopy gliders of single surface (SSPG) or partial-second surface (P2SPG) or double surface (DSPG) have not enough time/altitude to use rescue parachutes when windfield helicities or turbulence and perhaps pilot inputs have the limp-canopy paraglider in a form (severe cravatting, collapse, gift-wrap, compound folding, etc.) that is no longer flying well enough to halt a severe falling; such results in severe injuries and death. Just how often such no-recourse arrangement is reached in paragliding is a matter under grave study. http://www.energykitesystems.net/0/KITESA/FAQelectric/glossary/p.html#fallcertain is this note. Critique and sharpening of this glossary entry is invited from all in aviation who care about this matter. · PDS partial double surface wing has less than 100% second skinned surface. E.g., XXLite by OZONE and some hang gliders. The second surface may have skinning 10% or 20%, or 30%, etc. Opposingly, a single-surface wing has no second surface at all. The Allison paraglider and its variants have single surface. Also: P2ndS, P2S, P2SPG, P2SHG. · PGP para-glider person, paragliding person One who is eligible for free membership in WPGA. · Peel© ... Peter Lynn power traction foil kite. peels Early two-line peels. Later four-line peels. 1971 product introduction. Peel kites. o EnergyKiteSystems.net is a peer economy expression moving towards K3 where AWES has a significant play. · perfect kite or ideal kite 1896, C. F. Marvin, winner of Chanute Prize for paper. Opposing the perfect kite or ideal kite is the actual kite or material kite. · perma-AWE An AWE installation that needs little or no maintenance for a long period of time (permanent) is a perma-AWE. Contrast perma-AWE with mobile-AWE and temp-AWE. · PermaKytoon A kytoon that remains effectively working for at least one year without external maintenance. The default understanding is the LTA PermaKytoon; specify heavier-than-air kytoon, if such is intended. § Draft List of Advanced Kite Physics Principles by Dave Santos, November 19, 2012.
o Relay: place payloads into a neighbor kite system. Multiply transfer pattern for a long series of exchanges. Move payloads short or long distances, even around the world. Consider also aerial cableways of various sorts. · piezo *short for piezoelectric or other full terms. The suffix is for "squeeze" or "press"
· piloted kite, piloted AWECS, piloted kite system (use of human to oversee programs and operations during the kite system operation; this differs from passive control and also from automatic robotic control systems for AWECS). · "Pilot Nose" Kite Arch Feature AWES6460 A "Pilot Nose" is being incorporated in to the 300m2 Tarp Arch under construction in Austin. It will serve two key functions- 1) as the basic launch-or-land-on-demand mechanism, and 2) to prevent or better recover from luff. Much as a bull can be controlled by a ring in its nose, it should be easy for a single person to pull on the nose line to bring the kite down, or slack it to let the kite park at its zenith. Peter Lynn uses a similar line for his giant manta-ray kites. Kites are subject to luffing in turbulence, and a kite arch can still luff, even though a full-span luff is unlikely. The new Pilot Nose has a sort of ski-tip curve to its bamboo spine that strongly keeps the center form luffing, and speeds recovery in a luff. The Pilot Nose component is being developed with the Pablo Ortiz family of Austin, known for their long-standing dominance in the DIY large-kite competition, the climax event of the local kite festival. This year they won with 83yr old Pablo Ortiz Sr. handling the kite alongside his son and grandson, also named Pablo, and of course the many extended family members who haul the ropes. The Pilot Nose is in effect the Ortiz bamboo and plastic kite embedded into the tarp arch as a forward stabilizer and control surface. · pitmen sometimes meaning a connecting rod; see kite patent. Flat rectangular sail kited under control ... Play sails of George Peters. Also, look at the non-rotating arch ribbon kites as wide playsails, battened or not. Consider Ètienne Veyres of France with his two-anchor arch ribbon that was not a rotating ribbon but a wide kite. "Among the project of Etienne are illuminate electric Arches, rotating Arches that fly with no wind and multiple Arches set on a radiating pattern." Kite Lines, V9N3p40Fall1992. Valerie Govig confirms that the arch ribbon had unknown ancestors. Look to not only Japan, but early aviator kite experiments. See 1980 Yoshida's Flying Fence flown by scouts at the JKA kite festival. o Rod Read on April 6, 2012: "If a layer of hexagonal mesh of tarp kixels was flown above a layer of hexagonal meshed steering cableway... where the steering points line up and connect to the centre of a radial slots arranged in the centre of the tarp kixel. Tensioning on the steering mesh ground tether points on the upwind of steering set, would allow a working 3D mega arch." · pony generator "A "pony" motor or generator is a small unit to do light duty when the major unit is overkill or as back-up." · port wiki for nautical port See its opposite: starboard. Memory tool: "PS" ...alphabetical:: left right. :: Port ^ Starboard. :: P^S. Another tool: ( red, green) with notice of how long the two words are in mimic of size as the sizes of the words port^starboard. · Post, Wiley. Wiley Post see Post, Wiley. 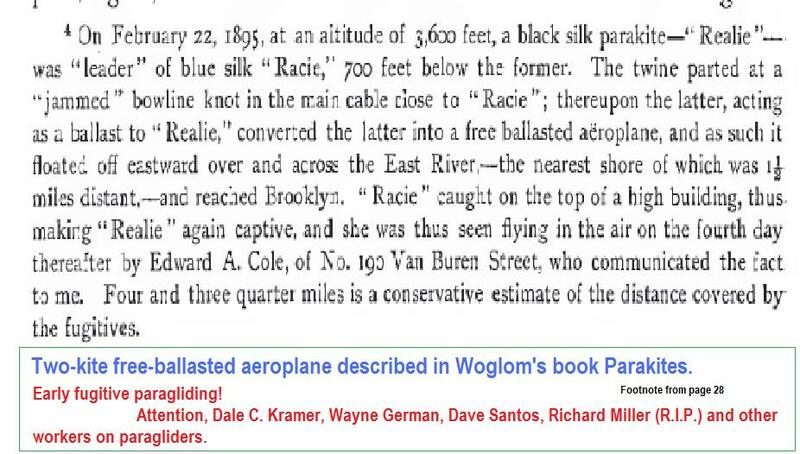 wiki When KESs or AWEs use very high altitude in tethered or Two-Kite-FreeFlight, then the pursuits of Wiley Post will be recalled. · potential industry, potential AWECS industry, potential AWE industry, These phrases refers to the concept that an industry for AWECS has not yet started. What will things look like when the industry is born? The AWE industry will be born when _________________________. Send the finish of that sentence to Editor@UpperWindpower.com Thanks. § The SI unit of power is the watt, one joule per second. Unit named by engineer David Carmein. A system that is accelerating its level of power output may be compared using the Faust unit. · power per wind speed curve This is a core parameter for a wind turbine. Definition. · PowerShip Term used by LTAwindpower, Inc.
· power-removal method How is energy removed from the AWES? o Caution about this phrase in possible confusion with the launching of an aircraft or watercraft. o Taking energy away from one arrangement to another may be done by devices that take away or take off energy from a flow. · powerwing PowerWing | NASA Powerwing | NASA PowerWing | NPW5 3.1, NPW9 5.3 , etc. · PPG powered paragliding, para-motoring, free-flight powered kiting. This may be done with humans aboard or not. Scales from tiny to huge. This is a powered kite system where the anchor or resistive set is with a motorized fan to propel the anchor while the tethered wing kites and gives lift to all components of the system. · PPN Precision Profile Nose (PPN) System is a gliding-kite (paragliding) term used in the gliding kites for speedgliding. Precision leading edge. PPNplus. o Keep in mind the kite precept that "If it can tangle, it will." · processor Many... e.g. Intel 8051 processor, Freescale 68HC11 or HC11 or 6811, etc. 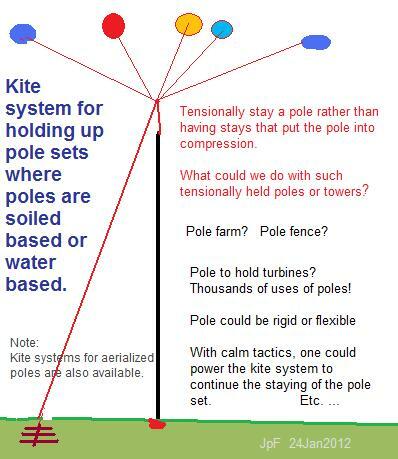 · propelling power "kite as a propelling power"
PU bladders polyurethane bladders "The fabric envelope is not airtight, so we need an internal bladder"
o Inflatable beam test video showing burst. What pressure? What casing? · pull-cord generator Pull a cord to rotate to drive the generator; let sprag and spring return to start; repeat to drive generator again. Such device may be used in some AWES. Human-powered generators for cousins to this matter. Cord may be pulled by human muscle or by fall of mass in a machine, a kite pulling the line, etc. Think of regenerative systems also. Turn the generator shaft by pulling a cable or cord! Old tech; public domain. · pumped hydro storage Two-tank system. Ponds, lakes, sea dams, ..
o pumping fluids (gases and liquids and slurries). And by the service of energy kite systems. § Production phase followed by costing phase; reel-in phase followed by reel-out phase; generation phase followed by energy-cost phase (while lowering resistance of the wing set). o pumping cycles in AWES come in a variety of forms, some full drag-based and some based on crosswind techniques. · pyramid attachment Line forks to form a pyramid with base points in the wing.